As a true Catholic, during my life I have always tried to be a pilgrim of justice. I have sought it out, noting how absent it has become in the world panorama. I try to be faithful to it in my own actions, with the hope that if many pilgrims of Justice were to walk our daily roads, then one day justice may finally return to the earth. I looked for justice among men, and I did not find it. I sought it in the Holy Church and I did find it, but it was hidden. It was necessary to unveil it. Not because it was something secret, but because it was present in those less disseminated prayers, in forgotten acts of the Magisterium, in aspirations of soul that were less inculcated by common pious practices. In short, in an atmosphere contaminated by sentimental piety, it became very difficult to hear the true tones of justice. I found justice by looking here and there, collecting teachings of the Church and examples of the Saints and discovering the deeds of this or that great soul. Thus I could recompose the picture of what justice is. It was as if justice - in a kind of Apocalyptic image - were a star that had fallen from the Heavens and broke into many fragments. It was necessary to recompose those broken pieces of its light into a mosaic. This is just a manner of speaking, because in truth the Magisterium of the Church never stopped teaching justice. What happened, however, was that many of those in charge of spreading it softened that teaching as much as possible and let it fall into oblivion. How many times did I hear that God is just only in theory! In practice He would only reward the good. He would never punish evil actions and persons. The justice of God would be one of benignity – and nothing else. So, justice for God would be to reward, but not to chastise. It was a one-sided justice. I always wondered what kind of justice would reward the good man and love him, but would not hate the bad one for the evil he did. 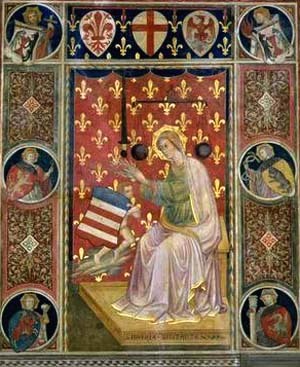 What kind of justice is this that praises purity and the pure, but does not hate filthiness and the one immersed in it? Should there never be a chastisement for the liar, felon and traitor? I fully understand that God loves the impure, the felon and the traitor, in the sense that He invites them to be good. The mercy of God tries to withdraw the bad man from evil; He tries to conquer the victim who fell into the snares of the Devil. But that is not the full extent of it. A person can choose to adhere to evil with his entire will – and frequently does so – and thereby enlists in the party of evil, against the cause of God. Never did the love of God express itself in a more pungent and tender way than when Our Lord spoke to Judas in the Garden of Olives. The guards did not know how to distinguish Our Lord from St. James the Greater who was very similar to Christ. So, they needed someone to unmistakably point Him out so they could take Him prisoner. Judas agreed with the Pharisees to deliver Our Lord for the price of 30 silver coins. The arranged sign of recognition was a kiss. "With a kiss you betray the Son of Man?" 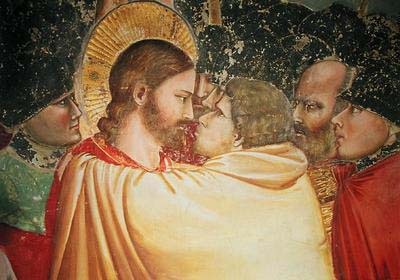 When Judas approached Our Lord to kiss Him, Christ said to him: “Judas, with a kiss you betray the Son of Man?” He allowed Judas to kiss Him. He could have easily prevented that scene. The power to stop it was not lacking to Him. Indeed, a few moments later, when the guard asked Him: “Are you Jesus of Nazareth?” He answered: “I am.” After He spoke those words, all the guards fell with their faces to the ground because they could not bear the majesty of His Person. He could have averred Judas from his purpose with a simple gaze. But He did not. He said: “Judas, with a kiss?” Each word was simultaneously an act of love and of wrath. “Judas, with a kiss?” That is to say, “Judas, you chose the symbol of friendship and love to come to betray Me.” “You who bring your face close to Mine, do you not remember all the graces I gave you? You whom I consecrated Bishop some hours ago…?” In that act, Our Lord reminded Judas of all the good he once had. It was, therefore, a supreme act of love. But Our Lord added these words: “Do you betray the Son of Man?” Christ also brought to his attention the enormity of his ignominy. In fact, nothing could be more infamous than that treason, precisely because of its injustice. One friend owes friendship to another. Instead, Judas had hatred for Him. 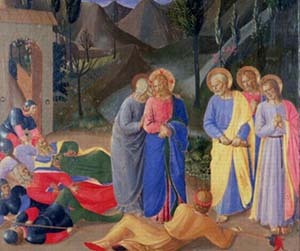 Further, Judas simulated the appearance of friendship to make the worst possible action. In that action, evil was multiplied by evil, making his act of betrayal particularly repulsive. It was not a simple treason: Judas was delivering God Incarnate to death… Further, Our Lord knew that Judas was planning such a betrayal and, in the name of mercy, did not send him away, but remained silent. To the crime of delivering Jesus Christ to Deicide, the traitor added the abuse of His mercy and silence. I believe that in all of History nothing was more terrible than that recrimination. He was offering Judas the grace of repentance. If Judas would have repented, who knows what would have happened? He could have had a most edifying life and death. But he rejected that last sublime invitation. From that moment on, the hatred of God fell directly upon him. The justice of God acted in such a way that Judas’ name became synonymous with the ultimate degree of infamy. When someone wants to throw the vilest possible epithet at a person, he calls him a Judas. This is how the action and very person of Judas became execrable to all. Describing Hell in his famous work Divine Comedy, Dante Alighieri places Judas at the lowest level, in the very mouth of Satan, being eternally gnawed by him. It is an unspeakable torment: No one even sees his face but only the despairing movements of his legs that protrude from Satan’s mouth. We know how Judas ended. After the betrayal, he went back to the Pharisees to return the 30 coins, but no one wanted that cursed money. He left the Sanhedrim and wandered in torment for a while through the city. Finally, he found a rope and hung himself on a fig tree. He judged himself, knowing that he would go to Hell, the place he wanted to be. It was a choice made for all eternity.